A-1 Freeman Moving Group is pleased to announce and welcome its newest member, Ben Weber. Ben will be joining the A-1 Freeman team as West Coast Planner and will utilize his existing service provider relationships to better serve our customers throughout the eleven western states. 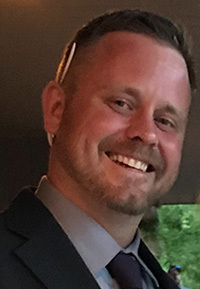 With over 18 years of experience in the moving industry, including 6 years running operations on the west coast for another vanline provider, Ben brings both a broad understanding of the industry and a deep knowledge of operations to the A-1 Freeman team. Welcome to the A-1 Freeman family, Ben! Since 1974, A-1 Freeman Moving Group has become a Single Source Solution for the moving, relocation, logistics, warehousing, and transportation needs of thousands of individuals, governments, militaries and many of the world's top businesses. A focus on excellence in customer experience & service has made A-1 Freeman Moving Group one of the most respected moving companies in the industry.